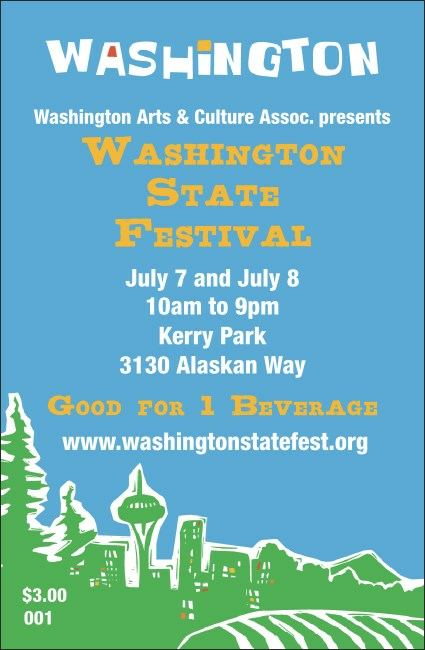 Raise a glass and toast your next successful event in the Evergreen State. Make sure all your guests' cups are full with the Washington Drink Ticket. Printed with images of Mt. Rainier and Seattle this is the right choice for your next local gathering. For professional service and fast delivery choose TicketPrinting.com.